There’s no other explanation for their ‘red zone’ performance. Everything I have heard says we have a Super Bowl team this year. Isn’t that why Gonzalez is back? 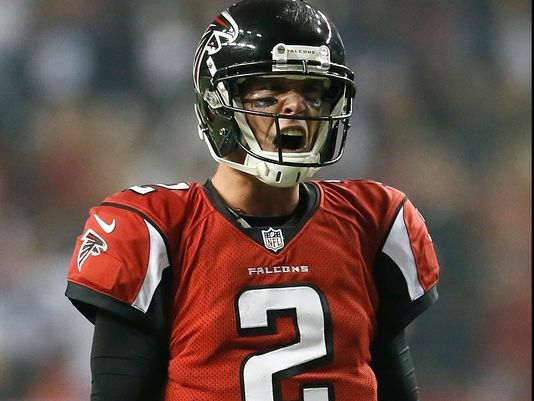 Maybe Matt Ryan or Tony Gonzalez needs to see the dentist more often? Perhaps they need their teeth cleaned? Maybe it’s halitosis? Whatever it is, we’re here for them. Studies have repeatedly found athletes have poor oral health, something which might result from frequent carbohydrate intake, a reduced immune function through intensive training and a lack of awareness about the links between oral health and elite performance. This seems so odd given that athletes appear to be so conscious of the body and its maintenance. One would think oral health assessments would be part of every athlete’s routine medical care. But once age if we are going to help athletes optimize their level of performance we need to focus on oral health promotion and disease prevention strategies that facilitate the health and wellbeing of athletes. Researchers from the UCL Eastman Dental Institute recruited 302 athletes to take part in a study in the London 2012 Olympic athletes’ village. The athletes represented 25 different sports, with 95 (34.9 per cent) competing in track and field, 38 (14 per cent) boxing and 31 (11.4 per cent) playing hockey. The athletes were given a systematic oral health check-up before being asked to give a personal assessment of the impact of oral health on their quality of life and athletic training/performance. 42 per cent of athletes taking part in the study said that they were, “bothered by oral health” issues, with 28 per cent saying that it affected their quality of life. Almost one in five (18 per cent) athletes said that they believed poor oral health was negatively affecting their training or performance levels. Oddly enough, nearly half of participants (46.5 per cent) had not attended for a dental examination or hygiene care in the previous year, while 8.7 per cent said they had never been to the dentist. Education is still the key to patient care. Until the general population realizes the link between their oral health and their global health or unless there’s an immediate health issue, dentistry will never take its proper place in health care. 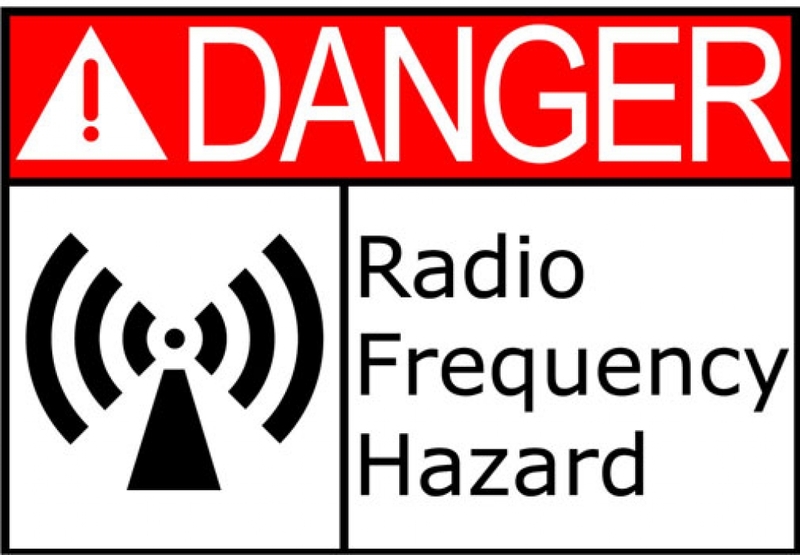 No, I am not talking about radio waves. This little phrase refers to how often a given dental treatment is covered. The “frequency limitation” on a certain dental treatment covered by your insurance policy is one extremely important provision. This element of your policy confounds both the patient and the dentist. The insurer states clearly the frequency limitations in the policy outline offered you, so even if that dental surface develops a very bad cavity and develops over several surfaces of one tooth, the insurance may not offer any coverage. This is why it is important that you have a very good communication with your dentist’s front office, particularly the person in charge of filing insurance claims. After getting a dental surface filled, your dentist should show you good dental health practices on how to take care of that filling, and how to avoid developing another cavity on that surface. Because more often than not, the insurance will not cover it within 2 years of coverage. The same goes for crowns. Once you have had the crown seated and something happens down the road or the patient develops a dental cavity under the crown, the insurer will usually not cover it again. One of the more frequent problems with dental crowns is when they are not properly seated, the patient develops a cavity at the margin of the crown. Once again, the insurer will not cover the restoration. But denied dental claims should not be a reason to panic. As long as you have good communication with you dentist, and she is a truly good professional you should not have problems. So it’s extremely important to receive dental work from a highly skilled dental practice that can create long lasting solid dental crowns and can address any potential dental issues correctly before the crown is placed. If we can be of service or answer your questions, please feel free to contact us. 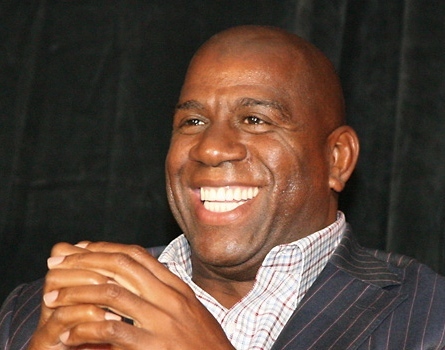 No, I am not talking about Magic Johnson, but just like his, all smiles are contagious. They make us feel happier, enhance our interactions with others and even lead to others thinking we are more attractive. A single smile can have a powerful effect on your brain through the release of neuropeptides. These neurons spread dopamine, serotonin and endorphins throughout your body, which can leave you feeling calmer and more relaxed, even happy. According to researchers, people are more attracted to the pictures of those who are smiling and making eye contact. It lifts our mood as well as the moods of those around us. And it can even lengthen our lives. Your smile is something that should be worn often, so make it a priority to surround yourself with people, places and things that brighten your day. Promise yourself to be the positive, happy person in your group of friends. Be sure to look people in the eye and show them your pearly whites. The world is simply a better place when you smile. However, your smile can also detract from your overall appearance. An unhealthy or unattractive smile can add 10 years to your appearance. Because whiter teeth are associated with a more youthful appearance, dingy stains can leave your teeth looking dull and unattractive. Also, poorly shaped teeth or damaged teeth can add even more years. The right dentist can help transform you into someone with beautiful smile. Our restorative practice can help you with problems of self-esteem. Restorative dentistry offers various solutions to help individuals change their lives. If we can be of assistance, please do not hesitate to contact us. Primitive emotional contagion. Hatfield, Elaine; Cacioppo, John T.; Rapson, Richard L. Clark, Margaret S. (Ed), (1992). Emotion and social behavior. Review of personality and social psychology, Vol. 14., (pp. 151-177). Thousand Oaks, CA, US: Sage Publications, Inc, xi, 311 pp. Molecules that promote communication between neurons. Abel E. and Kruger M. (2010) Smile Intensity in Photographs Predicts Longevity, Psychological Science, 21, 542–544. An ounce of prevention avoids a pound of cure. Given the propensity for injury, this is a very inexpensive solution. Can you imagine being in a head-on collision in your car without having a seat belt on? You can suffer similar injuries to your mouth when you don’t use a mouth guard in sports. Studies show that athletes are 60 times more likely to injure their teeth if they are not wearing a mouth guard. Collision and contact sports like basketball and football pose as high-risk activities, especially for the mouth. 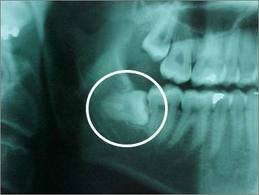 But dental injuries can occur in non-contact activities, such as gymnastics and skating too. When it comes to protecting your mouth, a mouth guard is a key piece of athletic gear that should be part of your standard equipment from an early age. Mouth guards aren’t required in every sport, but parents still need to be aware of their importance and make sure their child wears a mouth guard during every practice and game. Dentist Sandy Springs: Wisdom Teeth, who needs them? Researchers from Tufts University School of Dental Medicine have discovered a statistical association between the injection of local dental anesthesia given to children ages two to six and evidence of missing lower wisdom teeth. The results of this study suggest that injecting anesthesia into the gums of these children may have interrupted the development of the lower wisdom teeth. The incidence of missing wisdom teeth was significantly higher in a studied group that had received dental anesthesia at an early age. According to the study the statistical evidence suggests that the absence of wisdom teeth following dental anesthesia in this population group did not happen by chance alone. Not everyone develops wisdom teeth, but for those who do, the teeth often become impacted or problematic and require removal. What’s interesting to note is that dentists who administered anesthesia to their patients at an early age may have been unwittingly preventing the development of their third molars. This type of research provides hope that eventually there will be a preventative treat eliminating third molars way before they become problematic. If we can be of assistance or answer any of your questions please contact us. April 2013 JADA, authors of the study are Anthony R. Silvestri, D.M.D., Clinical professor at Tufts University, Gerald (Jerry) Swee, D.M.D., M.S., clinical instructor in the department of pediatric dentistry; Matthew Finkelman, Ph.D., assistant professor; Alfred Rich, D.M.D., M.D.S., clinical associate professor in the department of pediatric dentistry; Stanley Alexander, D.M.D., chair and professor of the department of pediatric dentistry; Cheen Loo, B.D.S., M.P.H., Ph.D., D.M.D., associate professor in the department of pediatric dentistry, all of Tufts University School of Dental Medicine. 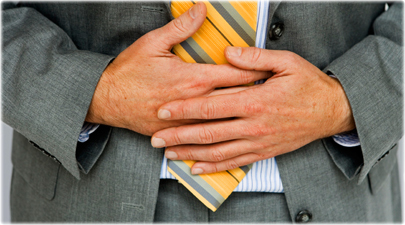 In the meantime, research on the relationship between IBD and stem cells is still ongoing. I we can be of assistance, give us a call.